Instructions for use :- Give 1-5 pipettes ( 0.8ml) about 20 minutes before travelling, start at 1 pipette and increase dose if necessary, can be given hourly if needed. 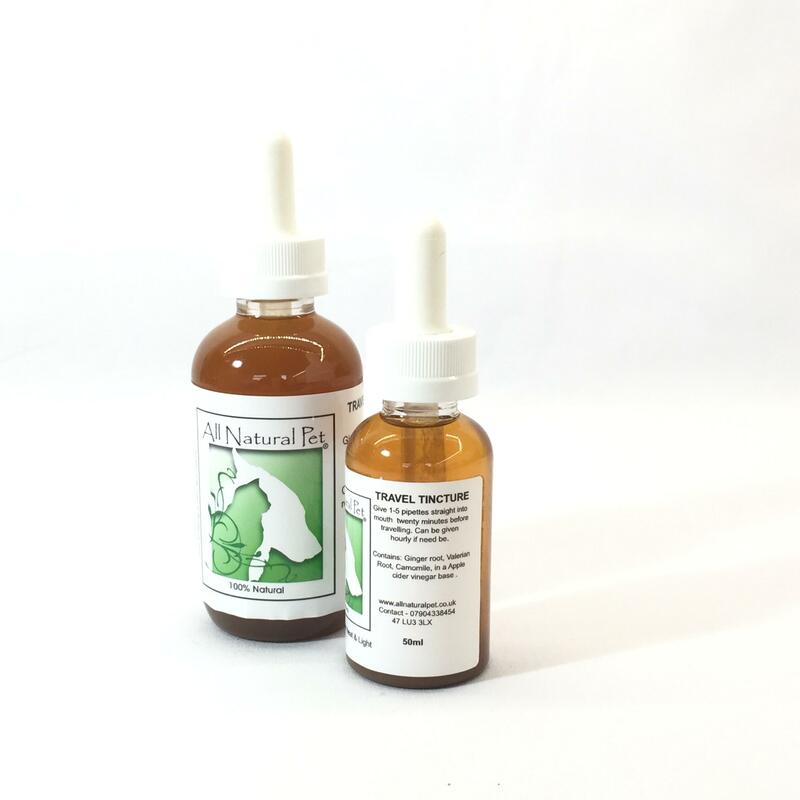 A tincture to calm pets and settle tummies when travelling. Contents- Ginger root, Valerian root & Camomile in a apple cider vinegar base. Have been using this on both dogs but mainly bought for the younger one who drools in the car. Since using this product travel is much more comfortable for him.